Home » gifted » high-school » well-being » Stressed! This Monday, Smarty texted me from school in the middle of the day telling me that she feels "tired, cranky, and gloomy" and asking me what she should do. It is the second time in the last two months when her stress rose to very high levels. The first time resulted in her snapping at the teacher and then crying for hours at home. This one was a bit less intense - partially, because she appealed to me for help before she completely lost it. Not that I did not see it coming both times when these "freak out" moments happened. Smarty does not have a problem dealing with "next day" assignments, preparing for tests, and passing tests. She also remembers to turn things in. She struggles only when more than one long term project is due at about the same time. Unfortunately, she has seven homework-carrying classes this year, and this second term has a lot of projects. Since projects are less "defined" than tests, Smarty tends to fret about whether she did enough. 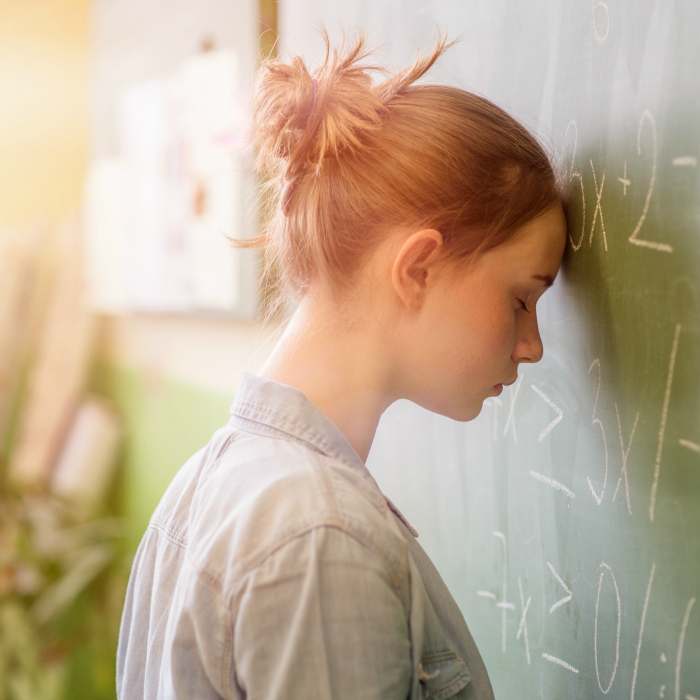 She does not manifest as a typical perfectionist who would spend hours on "beautifying" her projects, but she does have that "perfectionistic streak" - she is upset when she gets a B and not an A on an assignment. She also really struggles when she does not feel in control of the situation - this was the reason for her Monday's breakdown. Smarty just spent her Saturday in a science competition and then spent almost an entire Sunday cutting and editing her Media Studies video about refugee crisis. Then she found out on Monday that she has a literature essay due Monday after the break (a known fact, but she really did not have much time to work on it) and a geography 1,000 words write-up also due on Monday after the break. Well, we are traveling during the break, so Smarty tried to negotiate an extension and got a pushback from both teachers. This definitely brought her "over the edge". We were debating whether to talk to school about their tendency to expect work done over breaks, but we did not have to. Apparently, both teachers got enough student pleas and reset their deadlines to more realistic Friday of the week after the school break. Smarty immediately bounced back to her normal confident and bubbly self. However, we are still trying to figure out on how to help her deal with those inevitable spikes in her workload and, even more importantly, how to help her with this fear that she does not do as well as she thinks she should. 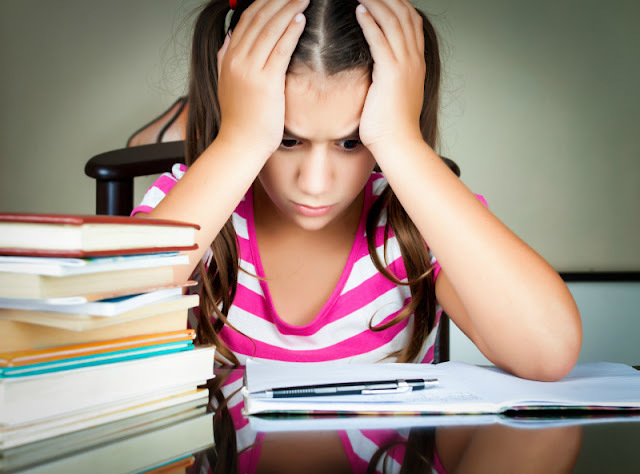 We don't want Smarty to stress about her grades, and her school does not want that either. Yet, here she is - worried sick about a mere likelihood that she might miss the deadline - the worry that is completely intrinsic and not supported by facts. Obviously, we are going to observe this closely in the next two months of the year (which will likely be very intense), and I really hope that next year she will be able to take at least one "fun" class. Mental health is most important to us, and I just wish we could help Smarty channel her internal desire to succeed more appropriately. I'm sorry Smarty is experiencing so much stress. I think I would too with such a heavy schedule. Personally, I feel it is critical for development, learning, and emotional health to have downtime. Without it, people burn out quickly. Give her a mental health day if she needs it...whatever to ease the pressure a bit. Hugs! Perhaps slow down her fast track, and have her do a little less next year? That's a tough one. I do usually start to look at toning down schedules when my kids get like this - they need time to be kids! I'm getting the same thing from my 12-year-old. I'm working on helping her realize she needs to talk to me and figure out how to get work done. It's somewhat working, but I'll look forward to your updates on how it goes.